10:00 am - 4:00 pm each day. both days (11 am - 3 pm) for a donation. 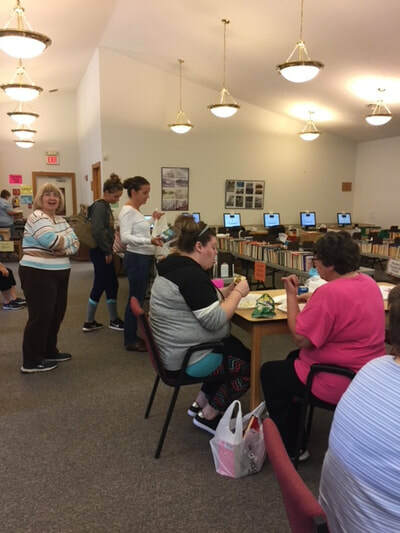 Stop by, peruse the “gently used” selection of books, DVDs, videos, & more and help our library raise money during one of our major fundraising events! Every premium bulb guaranteed to grow or you get a free replacement by the company! help organize the books each year! 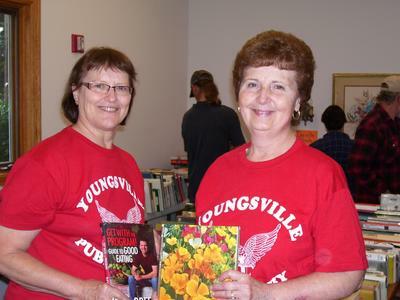 Volunteers from Cummins, Inc. "Every Employee, Every Community" (EEEC) program graciously helped the Youngsville Public Library Director set up for their Annual Book & Bake "sale" fundraiser. Through the EEEC program Cummins, Inc. encourages its employees to volunteer their time to help organizations within the community and actually pays the employees as if they were working on-site at the plant. 2018 marks the sixth year that Youngsville Public Library has been able to take advantage of this incredible program. Special thanks to Mary Seybert who once again helped organize and recruit Cummins volunteers. 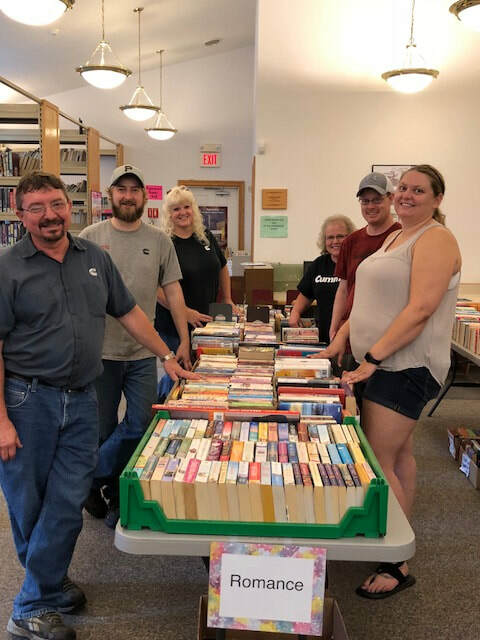 This year's volunteers were (clockwise from bottom left): Phil Bosko, Jim Fithian, April Rickerson, Mary Seybert, Allen Seybert, and Whitney Parker.